Changu Lake or Tsomgo Lake, also known as Tsongmo Lake, is a glacial lake in the East Sikkim, some 38 kms from the capital Gangtok at an elevation of 12,313 ft. This lake remains frozen throughout the winter upto Mid April and Snowfall is also common in this area From Dec to May End. The Changu Lake is considered extremely sacred by the local Sikkimese people. The lake is almost one kilometer long, 50ft deep, oval in shape. The lake surface reflects different colours with respect to the change of seasons. Changu Lake can be visited as part of full day sightseeing from Gangtok. Mostly famously Baba Mandir and Nathula Pass are also covered in full day sightseeing. There is no provision of overnight accommodation and you must return to the Gangtok or proceed to Nathang Valley or Zuluk by the evening. We are proven to be the best taxi service provide for Tsomgo / Changu Lake sikkim. 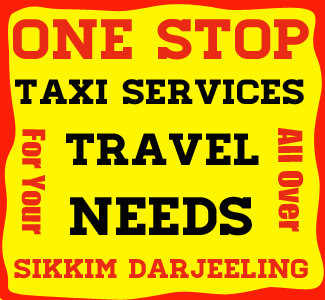 We provide taxi services from Gangtok to Tsomgo / Changu Lake at cheap and best price. We also provide taxi services from Zuluk, Rongli, Aritar, Kupup to Tsomgo / Changu Lake at best price. Contact us for best taxi tariff from gangtok to Tsomgo / Changu Lake Sikkim. We also provide packege tour over Tsomgo / Changu Lake. For Indian tourist there are two route through which you can reach Zuluk Gangtok and Rongli. Foreigners can visit Changu lake only from Gangtok checkpost. Gangtok to Changu Lake : 38 kms. Rongli to Changu Lake via Zuluk: 75 kms. There is no provision of overnight accommodation and you must return to the Gangtok or proceed to Nathang valley, Zuluk by the evening. Foreigner : Foreigners can also visit changu Lake with special permit. This special permit are provided by Travel Agents in Sikkim, Goverment Authority. Foreigners can visit Changu lake via Gangtok only, route from Rongli Check post is strictly closed for Foreigners. Foreigner visiting Changu lake from Gangtok need to produce following documents: Passport Size Photo : Four Passport Size photo for each members above 5 years. Best time to visit Changu Lake is during the months of March, April, May, June, October, Nov. However the roads are open through the years.